Mike Mutebi leads his players through drills. By the end of the day on Sunday, Ugandan representatives will have known their fate as far as representing the country on the continent in football matters is concerned. At home, Uganda Cup winners, KCCA FC will be hosting AS Otoho D’Oyo from the Democratic Republic of Congo in a bid to overturn a three goal deficit. 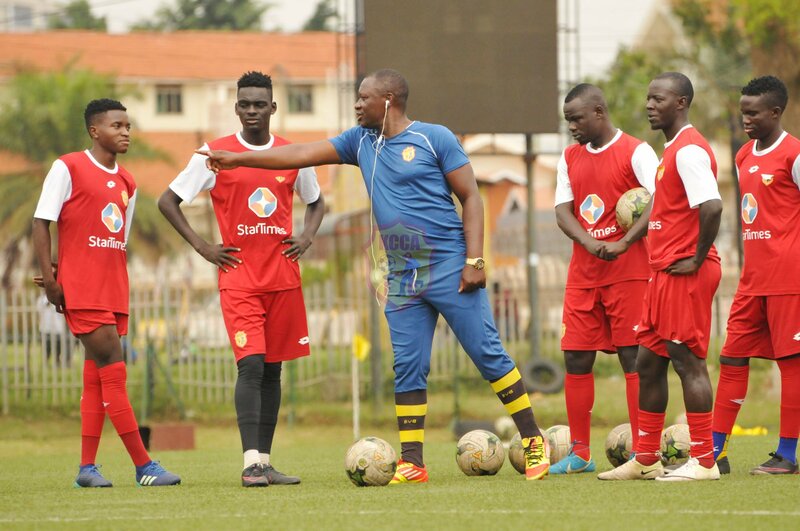 KCCA were bad visitors when they were beaten 3 nil in Congo a week ago and today’s game will be a litmus test for the hosts’ coach Mike Mutebi as he seeks to prove critics wrong and qualify for a third successive appearance in group stages of the continental tournament. However, according to Mutebi, the game is played with 11 players on either side and believes nothing is impossible. “My players have a lot of belief that they can do it. When the players believe in themselves, it’s a good sign,”Mutebi said during a pre-match press conference. The players represented by youngster Julius Poloto, too believe they can overturn events and qualify to the group stages. “We have been working on the weaknesses and the way those guys managed to score three goals and revising where we went wrong. We hope we shall get a better result on Sunday,”Poloto told journalists. The Sunday game at the StarTimes stadium in Lugogo will be a litmus test for Mutebi and the entire KCCA FC team and will have to reciprocate their performance against Egyptian giants Al Ahly last year in the Caf Champions’ League group game at Namboole if they are to overturn the three- goal deficit. 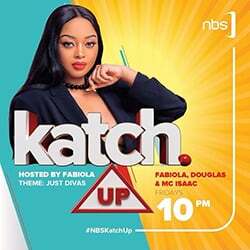 KCCA’s forwards should be as sharp as a knife to ensure they score atleast three goals past the Otoho goalkeeper but at the same time, the Kasasiro boys’ defence should be as tight as water not to let in any goal. The moment KCCA concede, they will have increased the load ahead of them as they would now need more goals to go through. Another Ugandan representative on the continent, Vipers Sports Club will too have to work hard to beat North African club CS Sfaxien in Tunisia in their return leg game in the group stage qualifiers. The first game ended goalless at the St.Mary’s stadium and today’s game will be a big test for new coach Edward Golola’s boys. 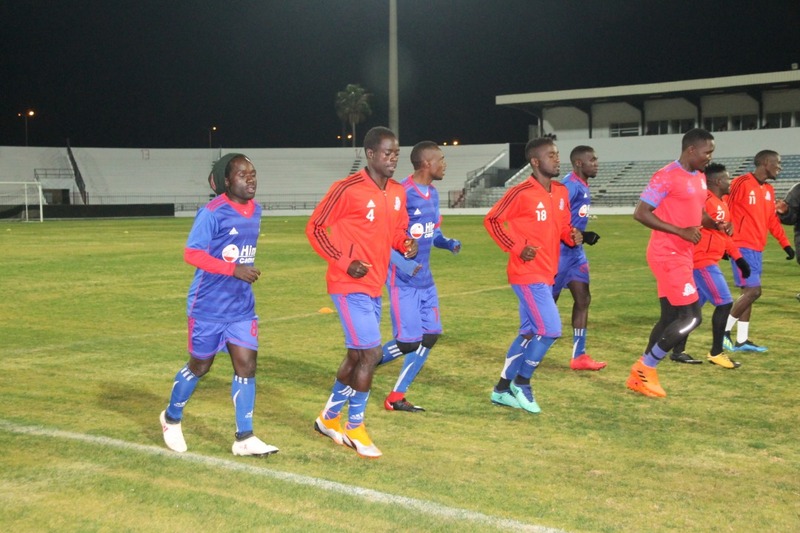 Vipers players train in Tunisia. Vipers have to ensure they score a goal but at the same time keep it tight at the back not to let the ball pass the goal line. However, assistant coach Michael Ouma is confident his team will progress to the group stages. “We will see what comes but of course we have very high hopes of progressing,” he said before his team left for Tunisia. “We have had some people writing us off after failing to win the home game however this is the right opportunity for you to make things right. Take the game as a platform to showcase your talents rather than a threat to what you are capable of doing,”Ouma told the players. Ugandans will be hoping for the best from the country’s representatives in this year’s continental football.